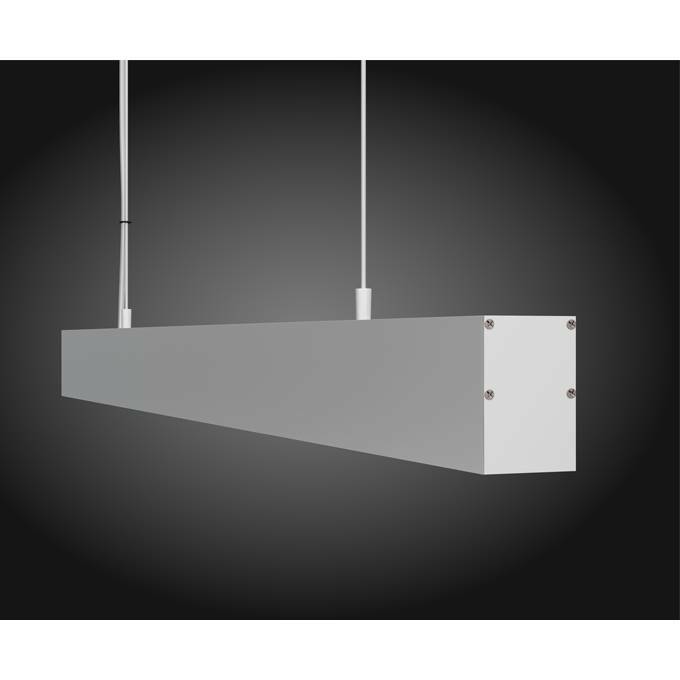 Enjoy efficient, long-lasting, High-Output linear LED illumination with our 6ft 2” x 3” Linear Light Fixture. 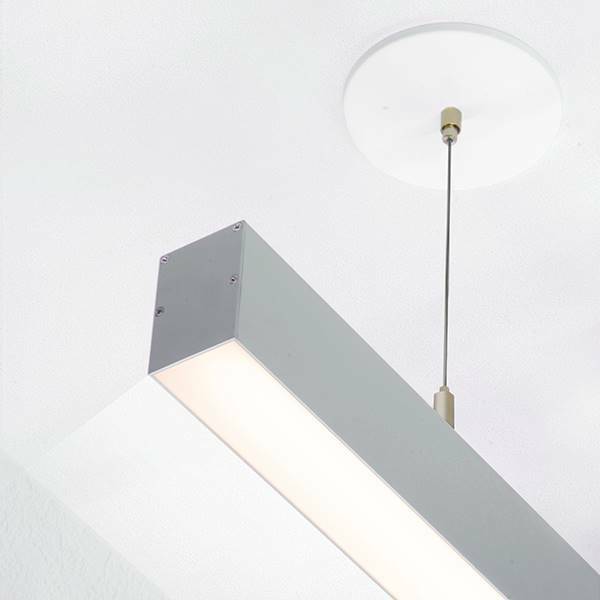 Designed, Built, and Shipped from Miami, FL USA and driven with Philips® high-quality LED components, this ultra bright LED light fixture offers unrivaled quality and durability. 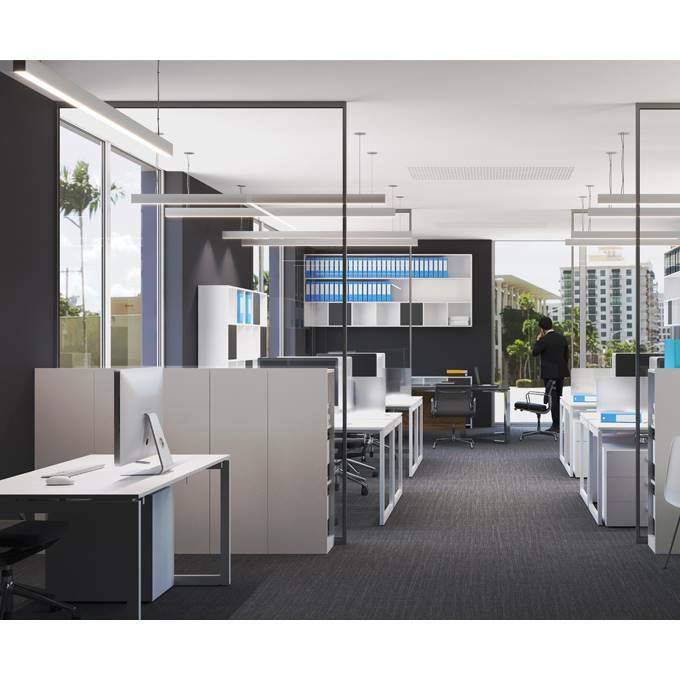 Sleek and attractive linear form compliments any design or look. Easily mounted with aircraft cables to any ceiling type. 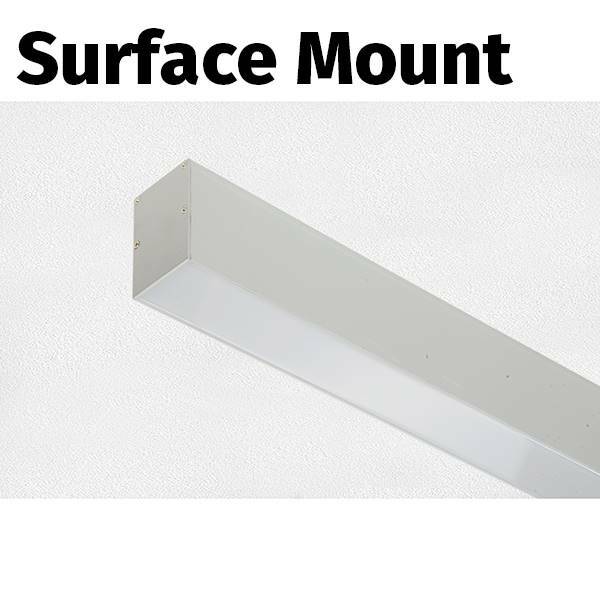 Also available in surface, or recess mount options. Top-of-the-line, integral LED driver allows this fixture to dim to 1%. Producing over 1,000 lumens/foot, this High Output LED fixture is an excellent solution for office spaces, retail environments, commercial spaces, and more! Linakble Kits for longer Continuous Runs: Virtually no run limit. Link multiple fixtures together without a break in light. Long Lifetime: Give's off useful light for over 70,000 hours (roughly 10x as much as a fluorescent bulb). 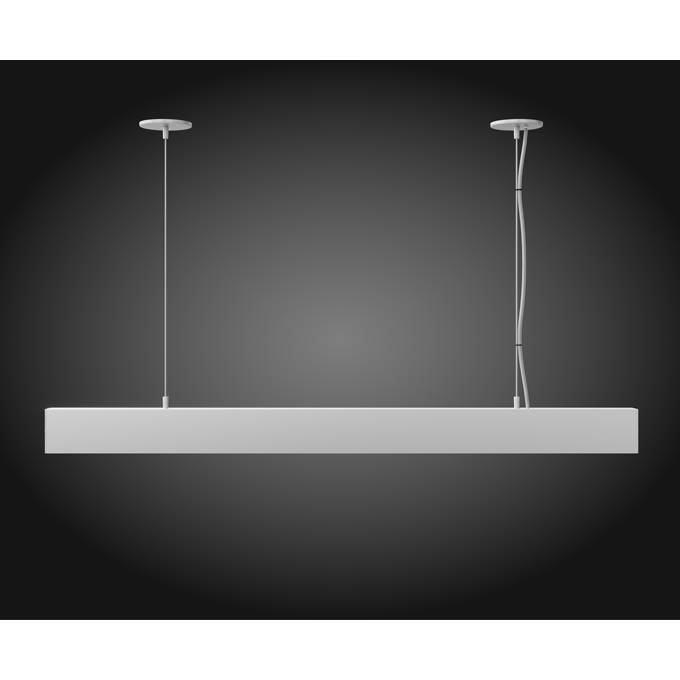 Based on 2ft Fixture Length! 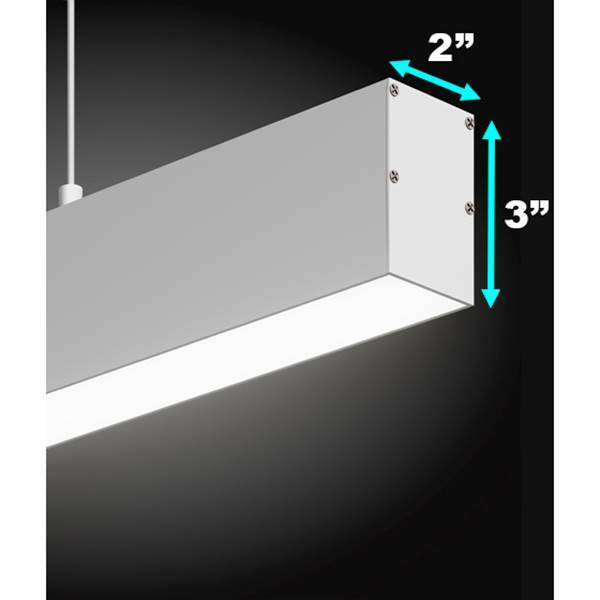 Our 6 foot 2" x 3" High Output Linear LED fixture is ready to illuminate and includes suspension cables, but requires mounting hardware specific to your installation and mounting surface. Mount kits are sold separately. Ask us about recess or surface mounting options.